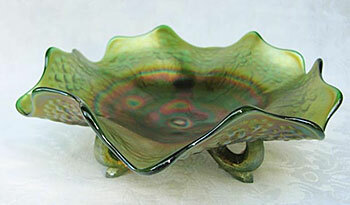 Top left is an example of the nut bowl shape, which has the sides either straight as shown here or flared out. 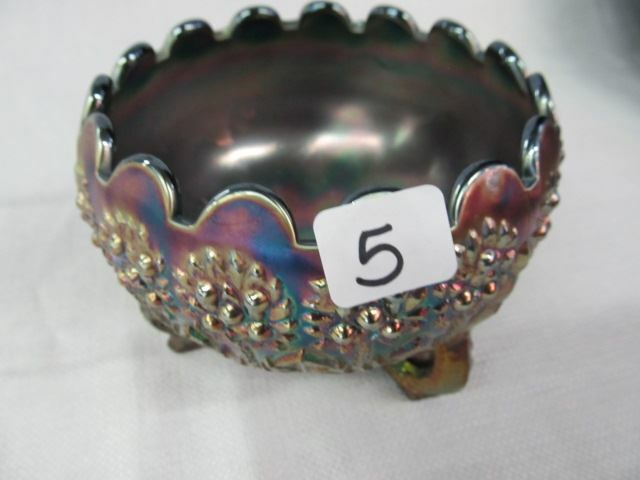 Courtesy of Lee Markley. 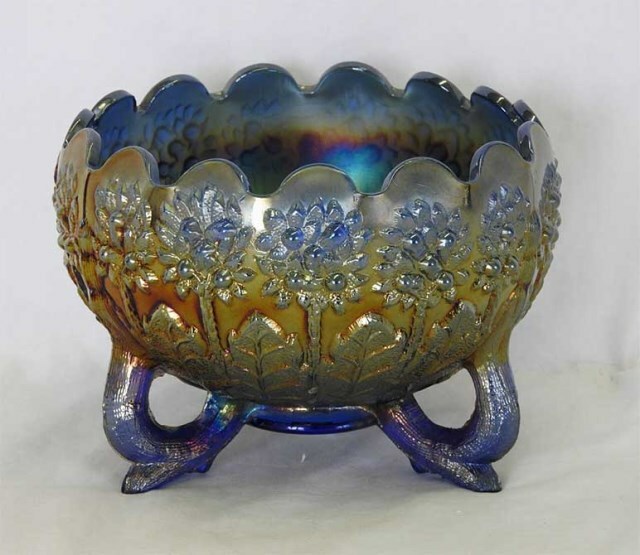 Above (center) is a rare smooth-top example in blue. 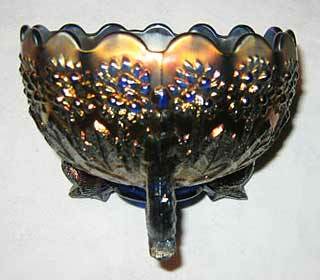 The photo was sent to me in 2006 by Shad Wooten, who had picked it up on eBay for $74. 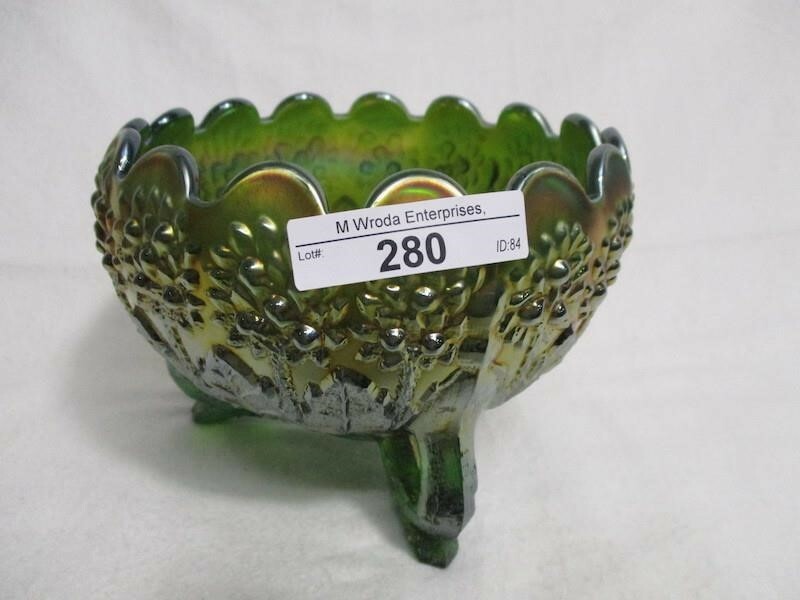 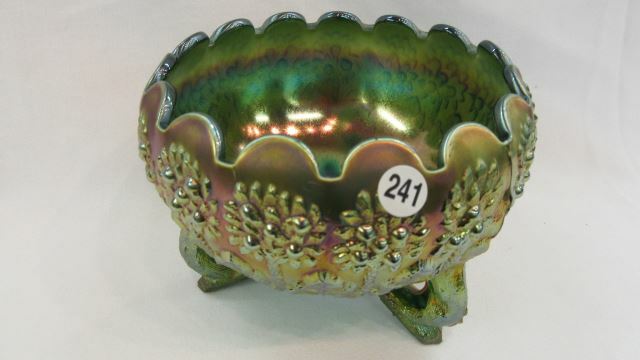 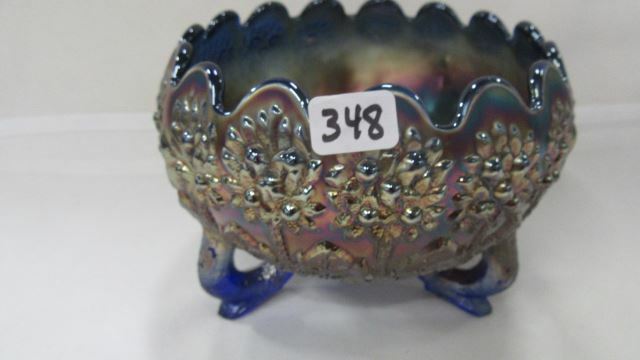 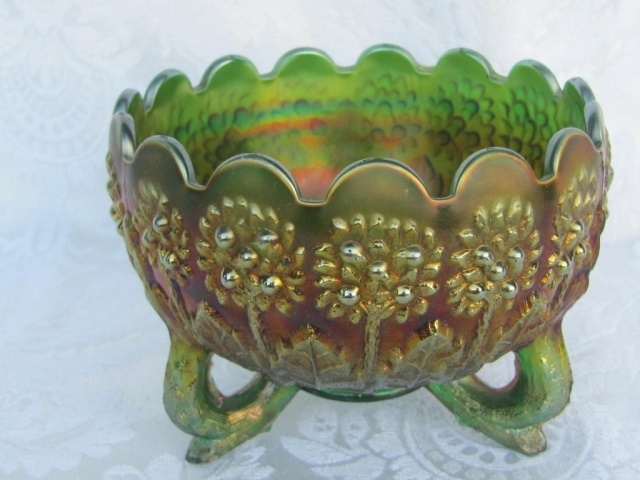 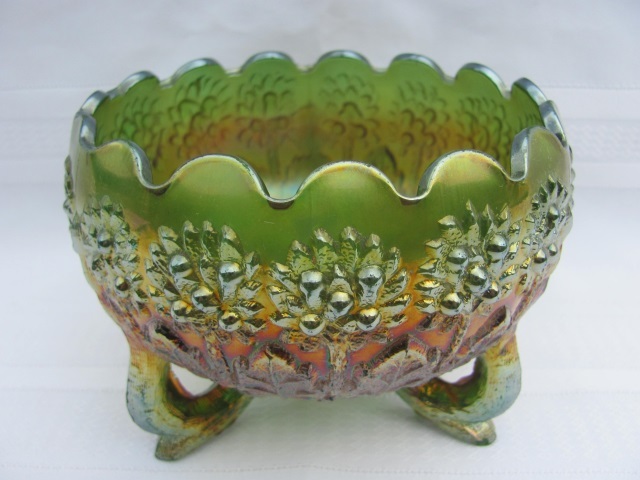 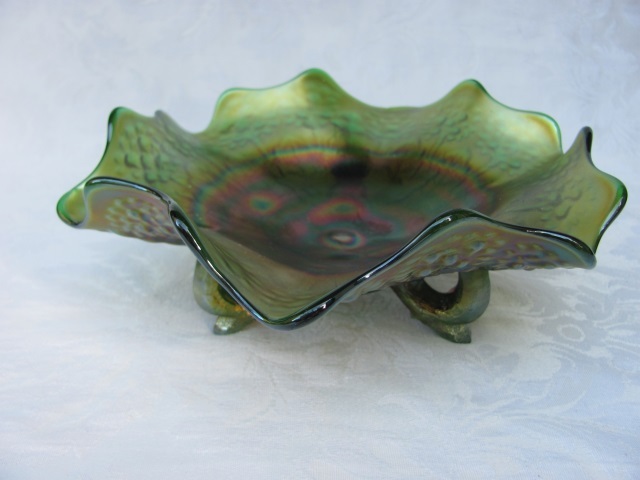 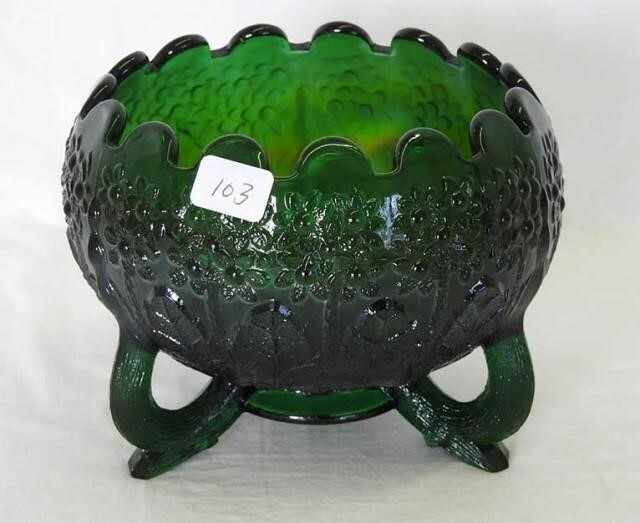 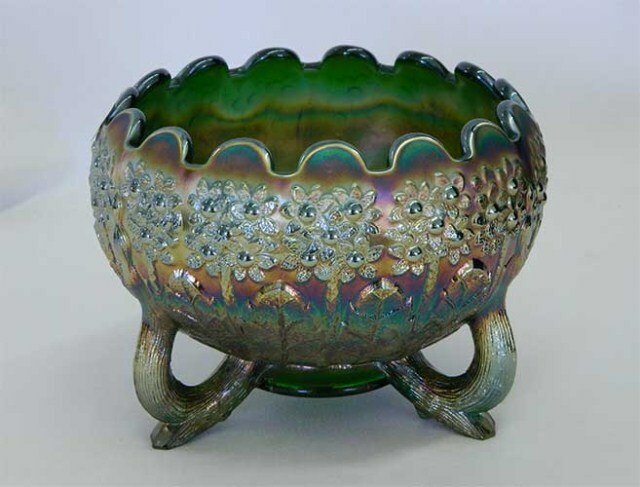 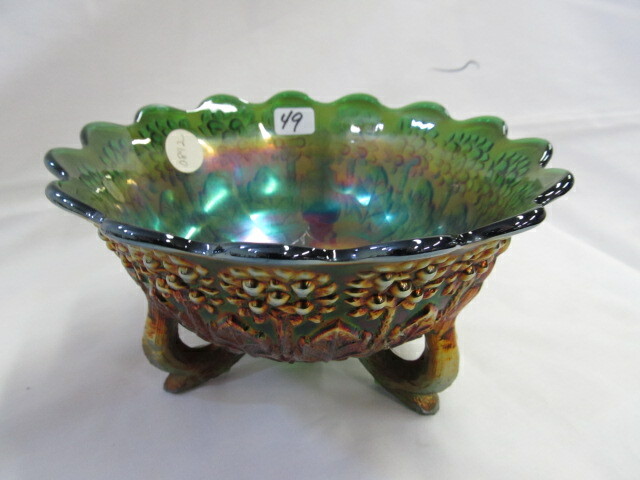 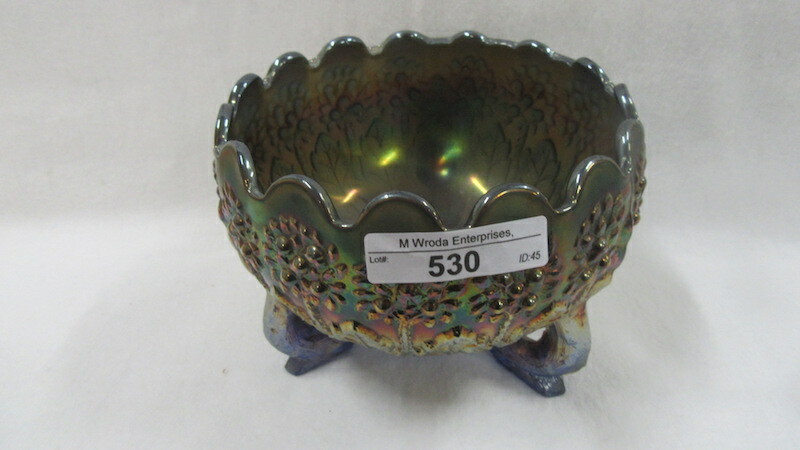 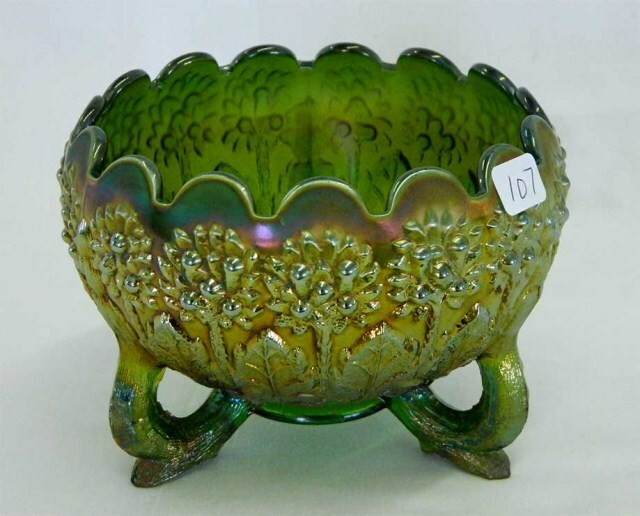 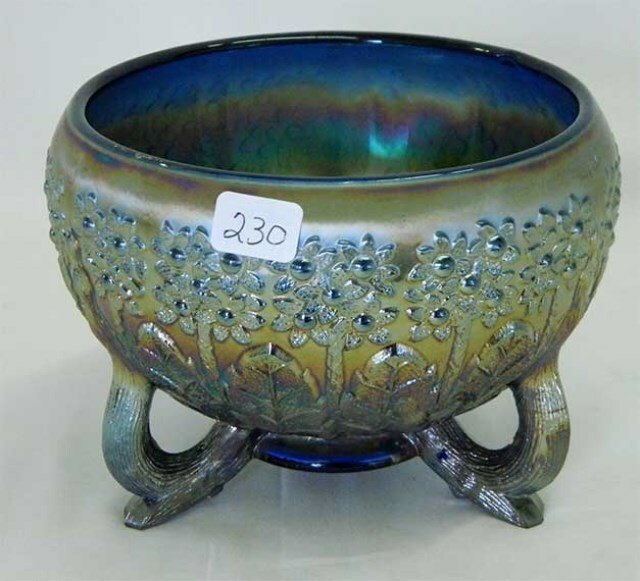 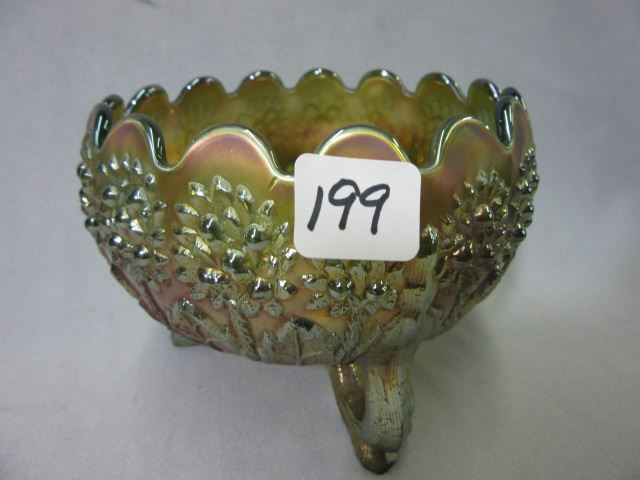 And on the right is a rare green ruffled bowl, whimsied from a rosebowl, which sold in 2014 for $180. 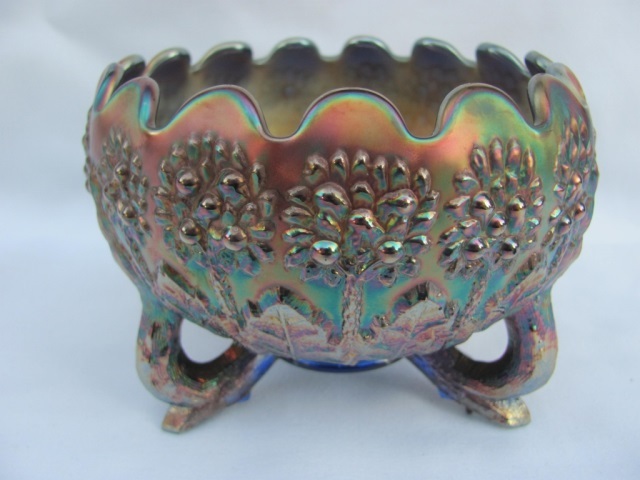 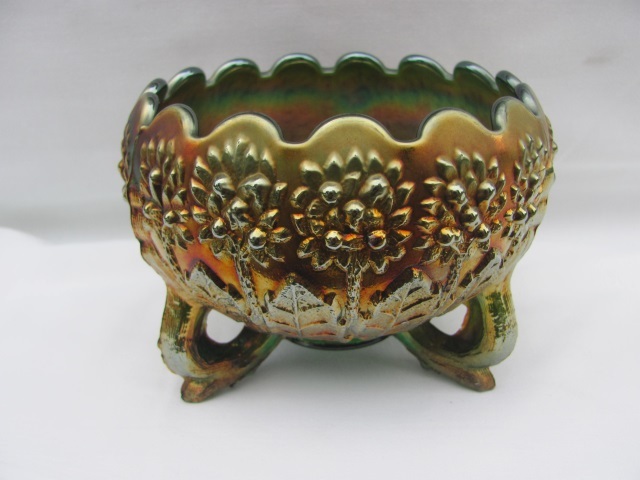 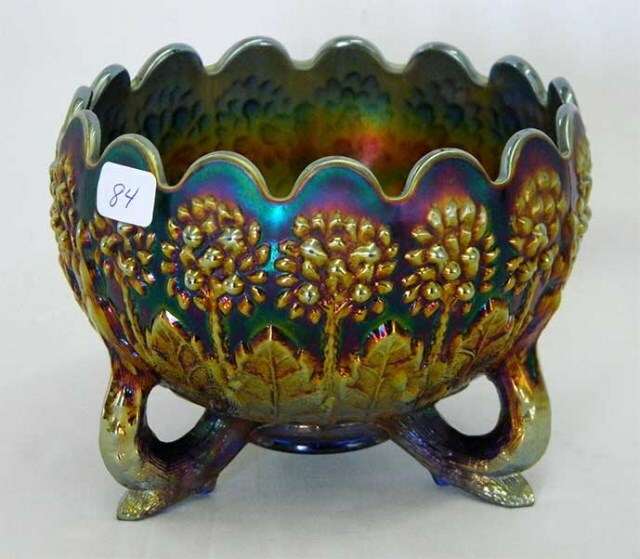 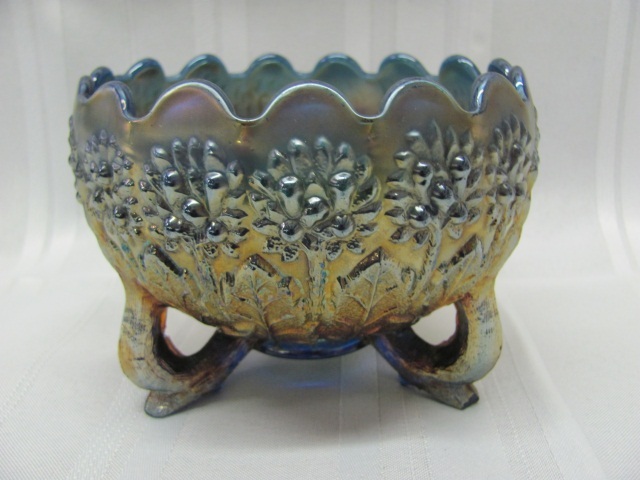 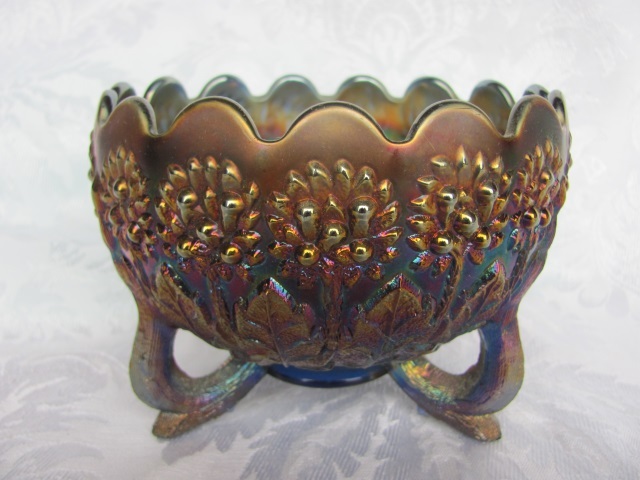 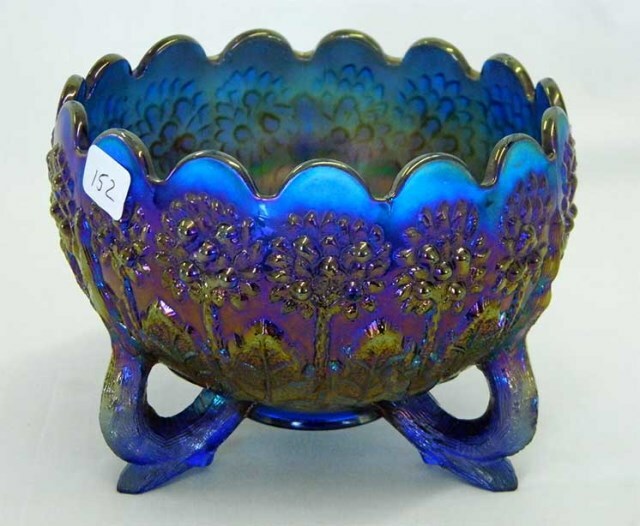 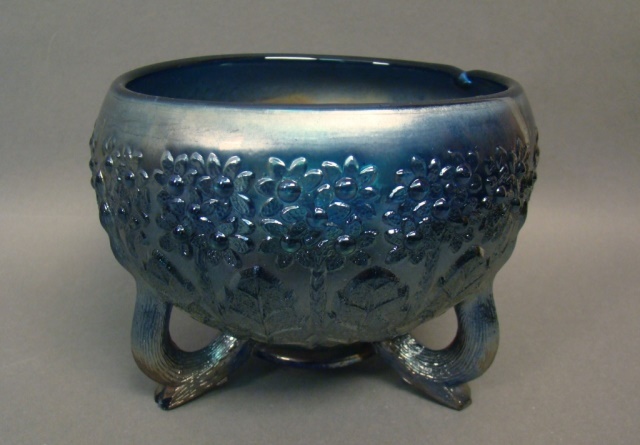 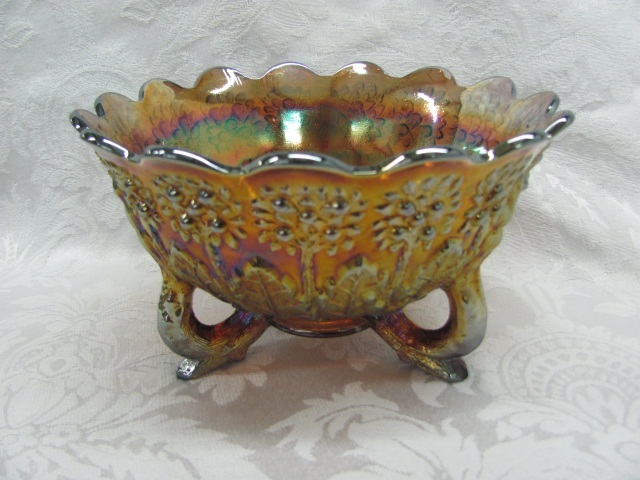 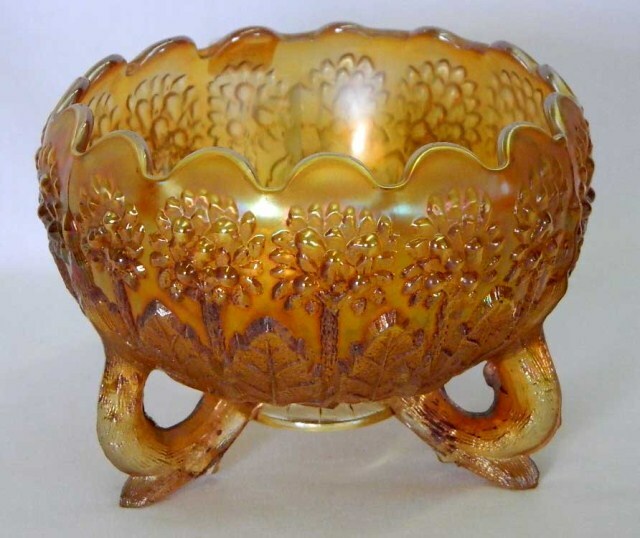 This pattern is listed with Fenton's Orange Tree as that's the pattern on the exterior, but tradition had it that it be called Fenton's Flowers. 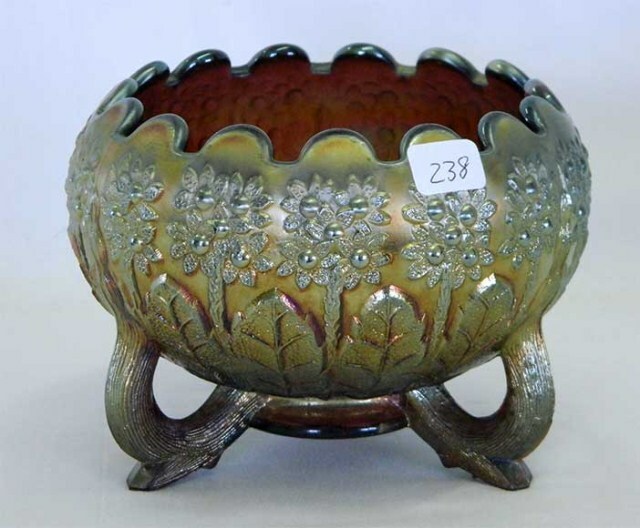 When purchasing these pieces, look carefully at the feet; they're very succeptible to damage. 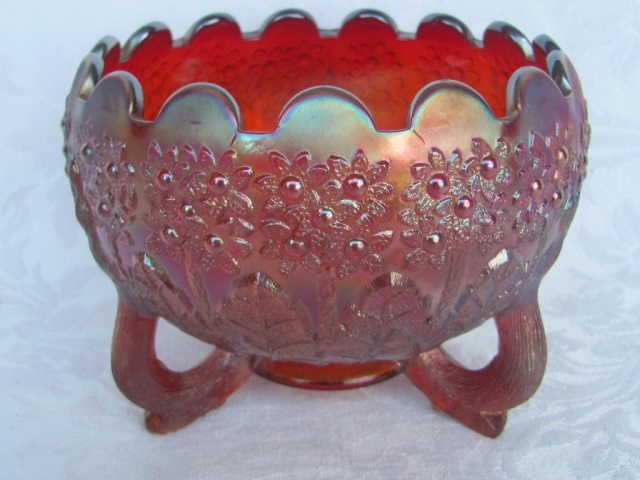 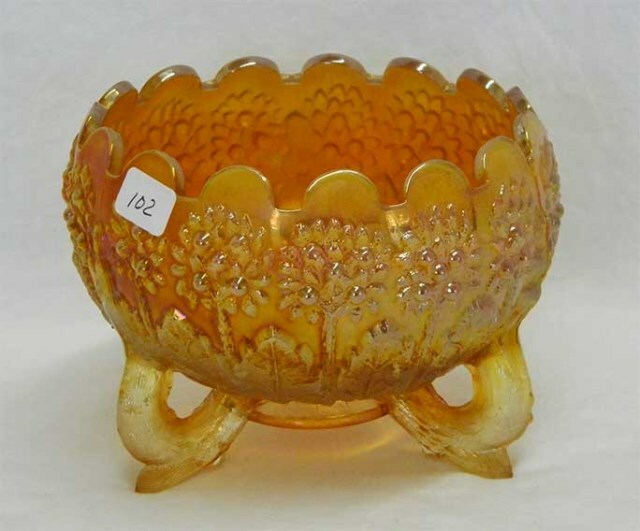 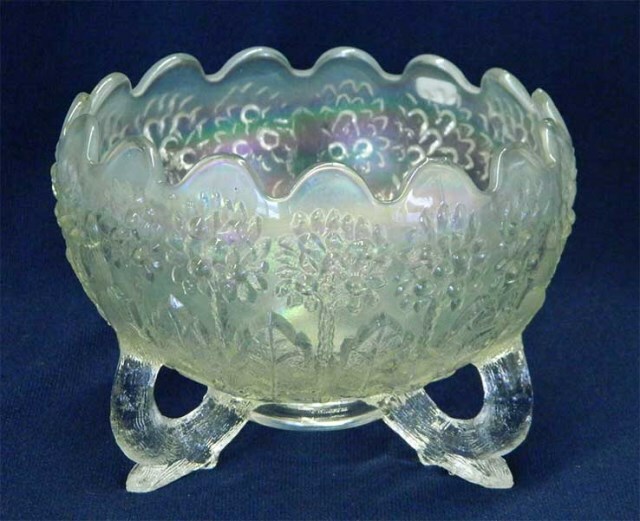 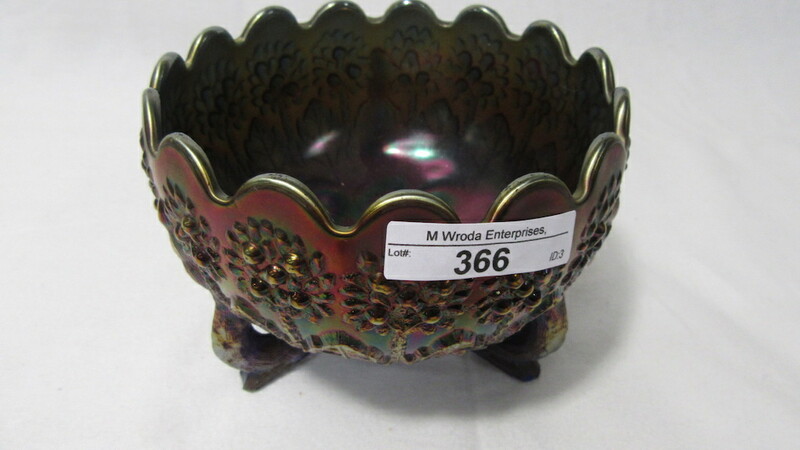 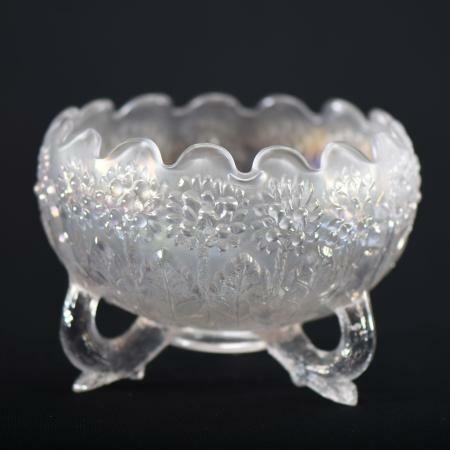 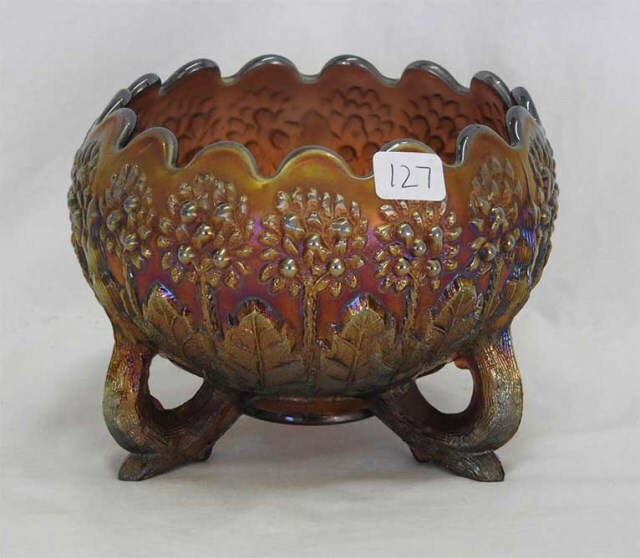 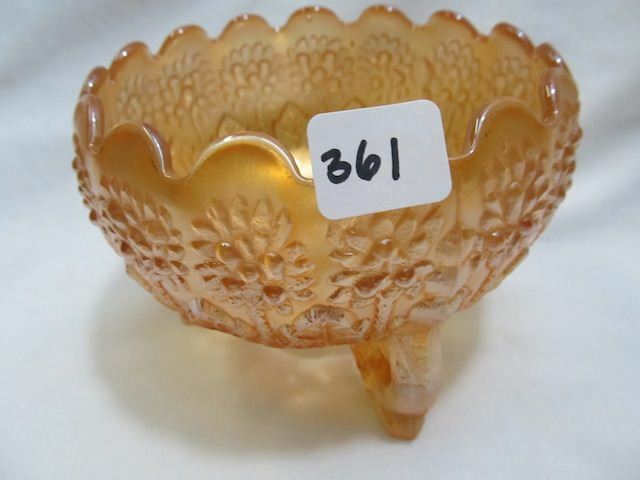 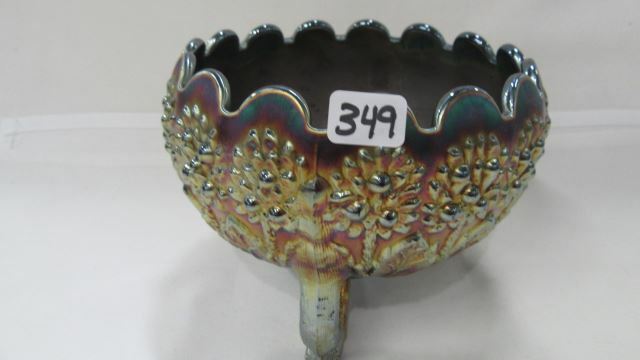 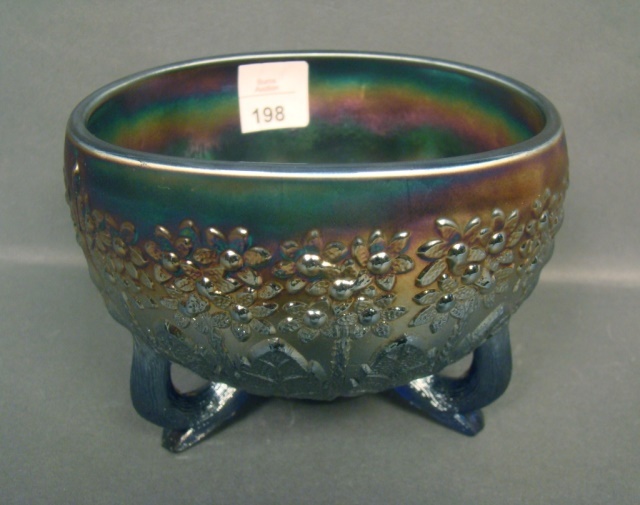 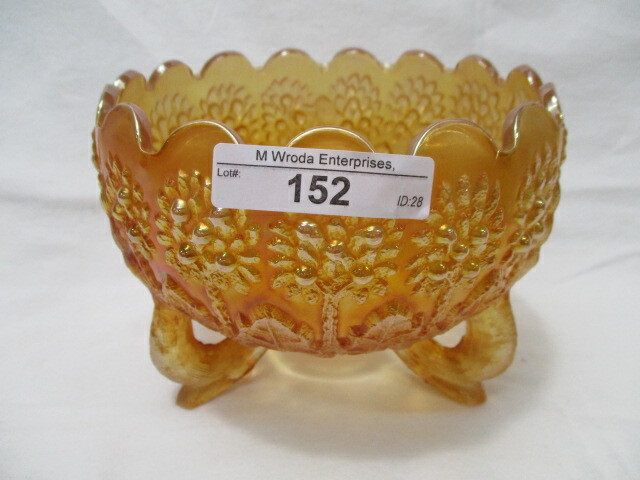 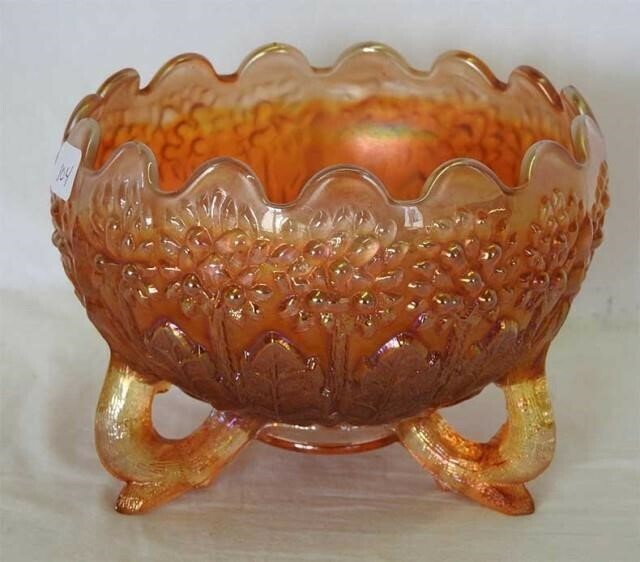 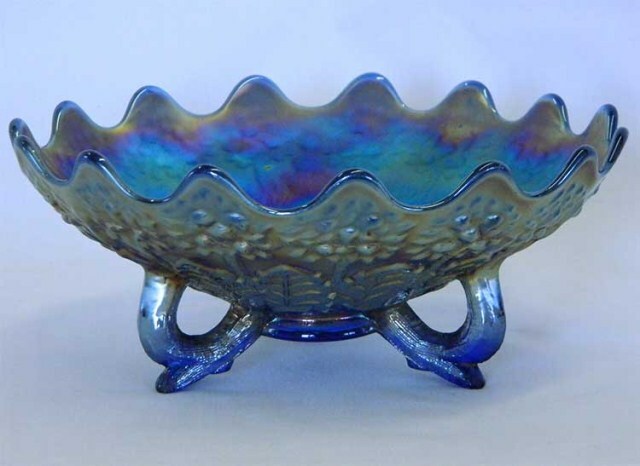 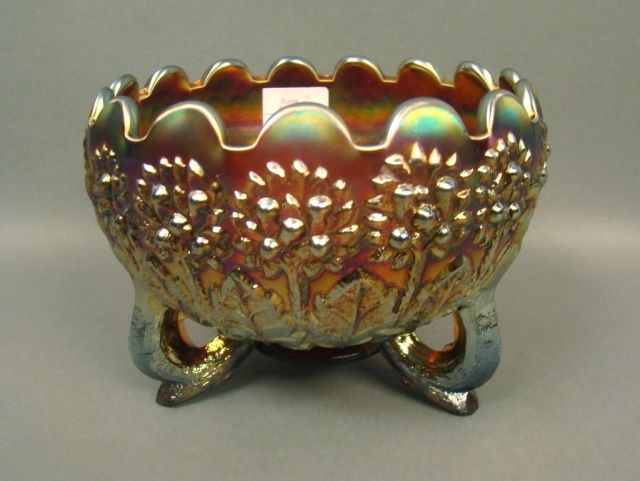 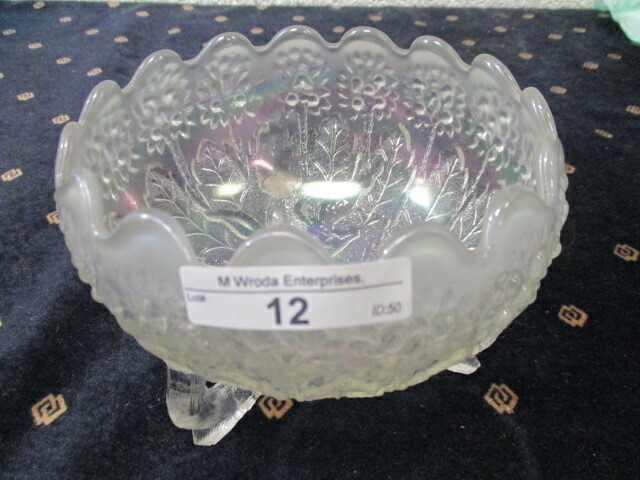 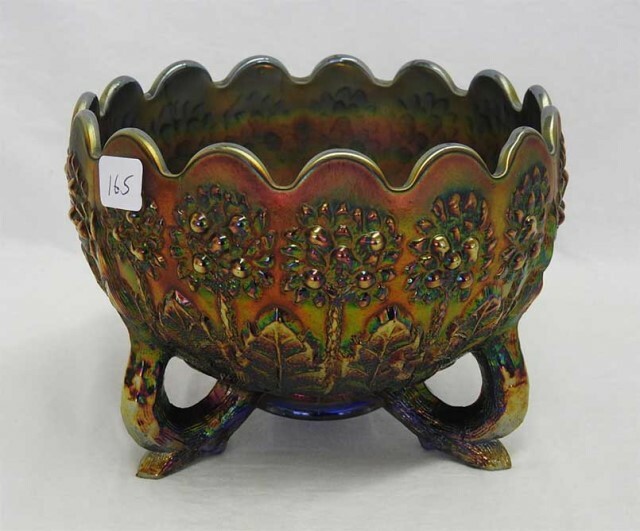 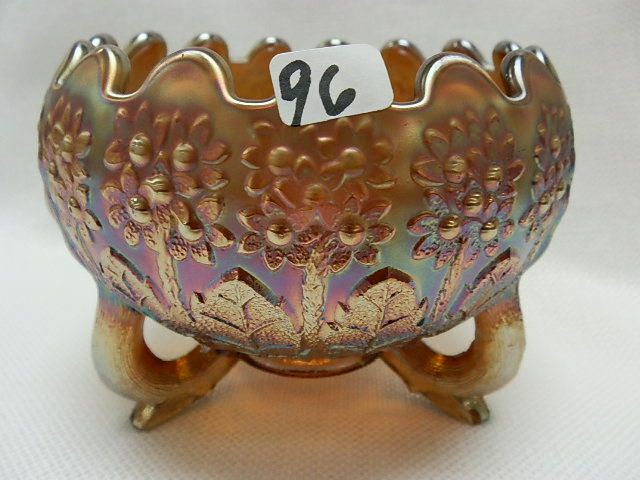 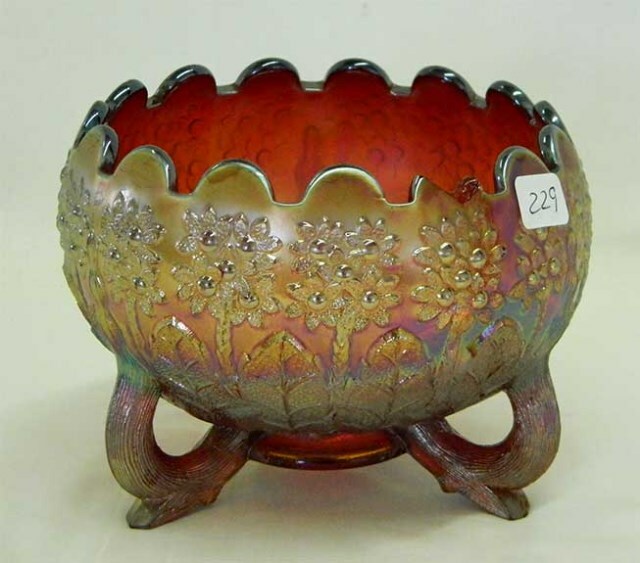 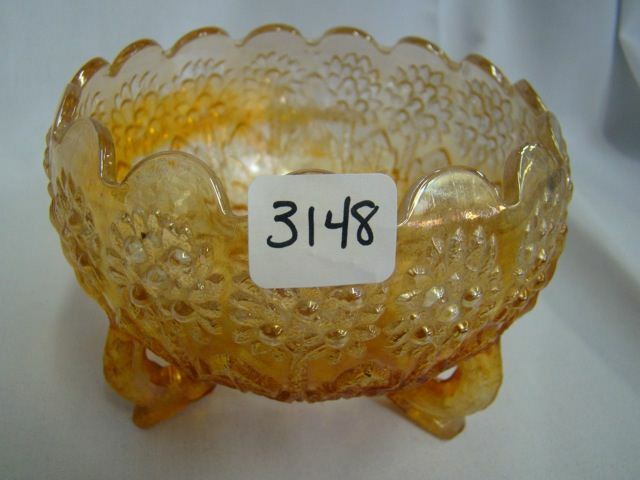 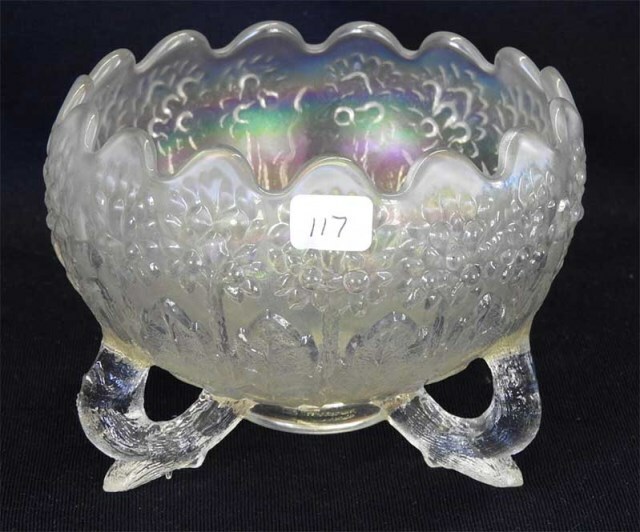 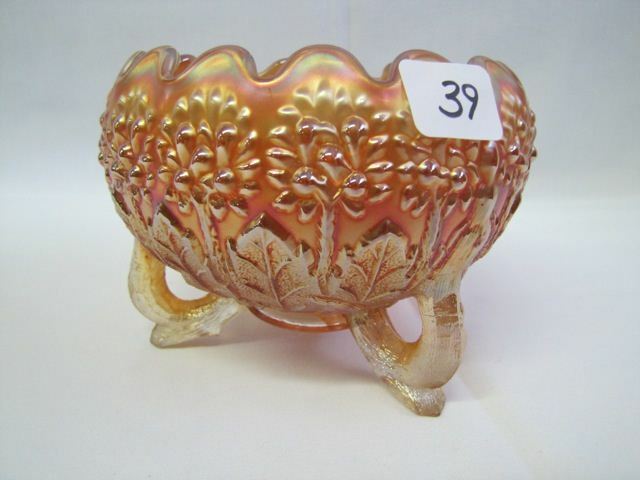 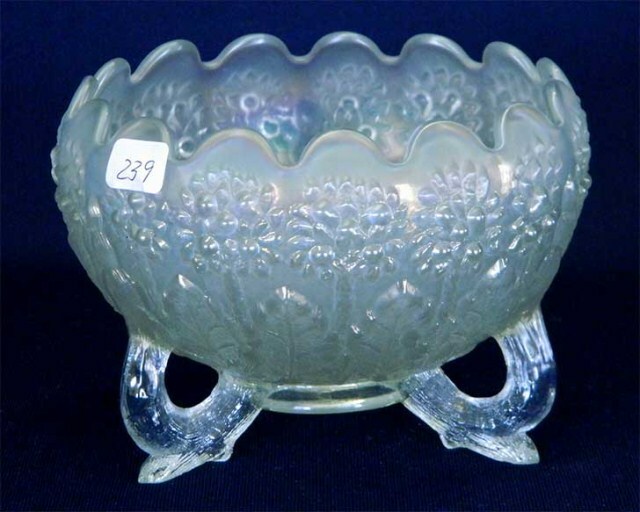 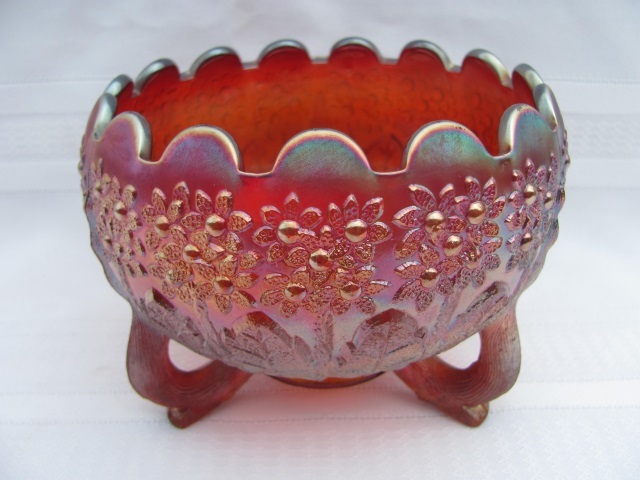 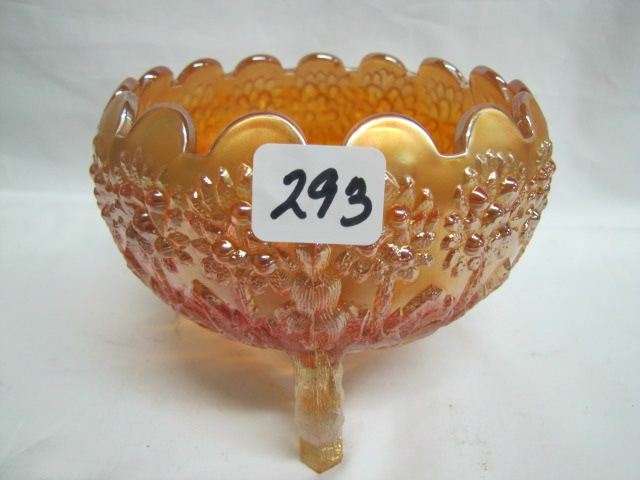 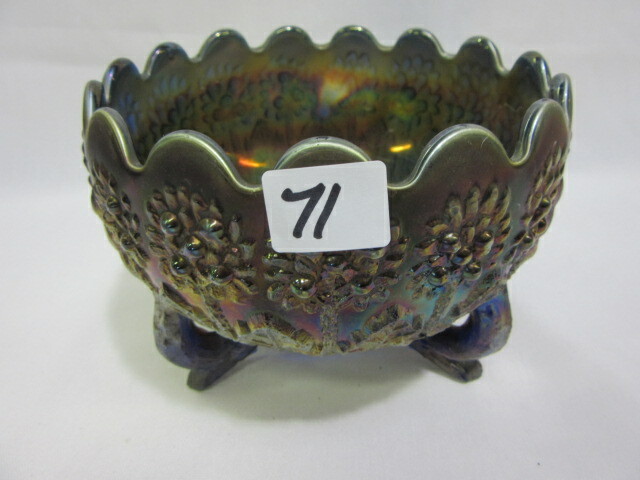 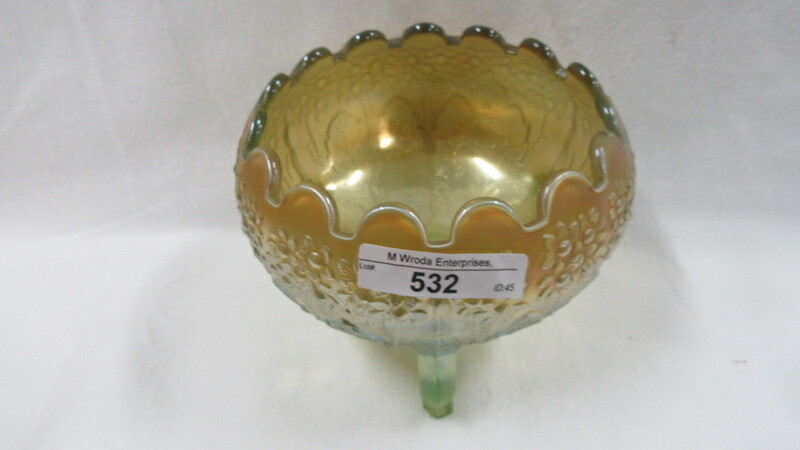 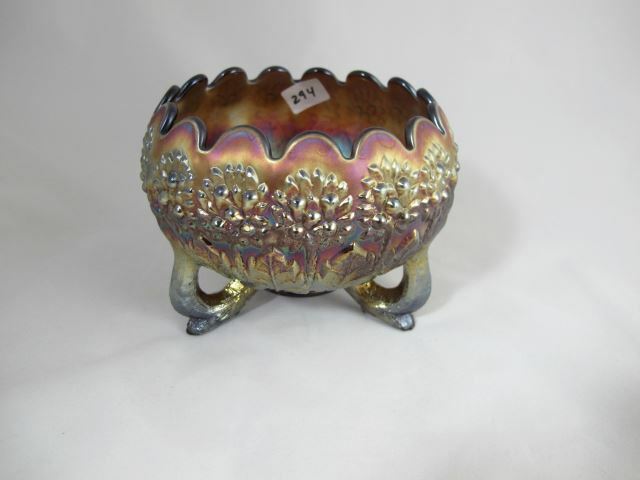 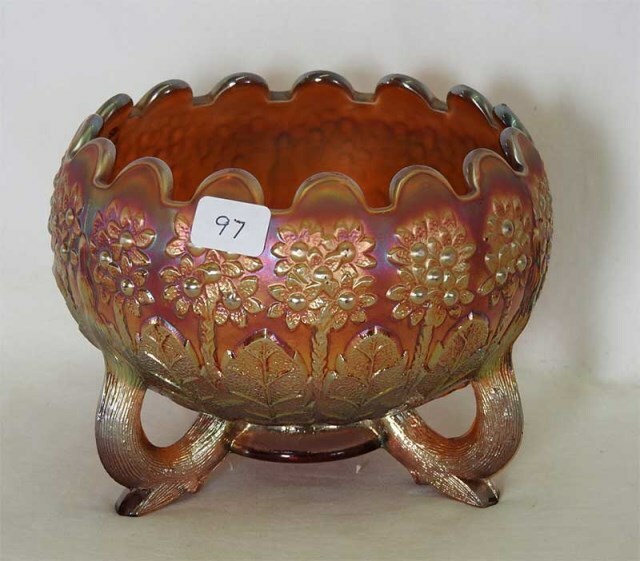 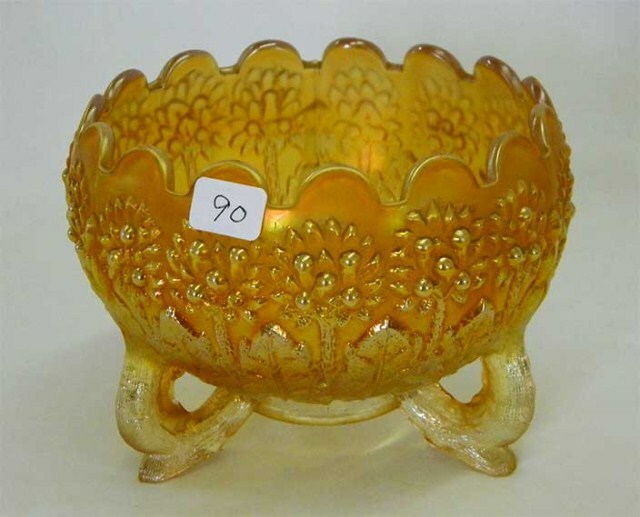 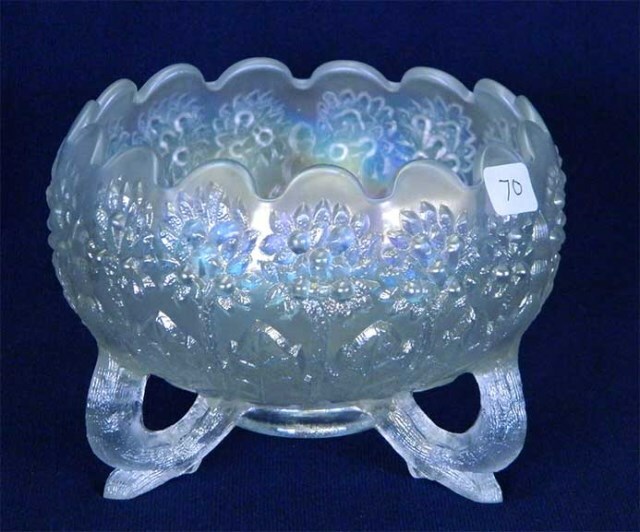 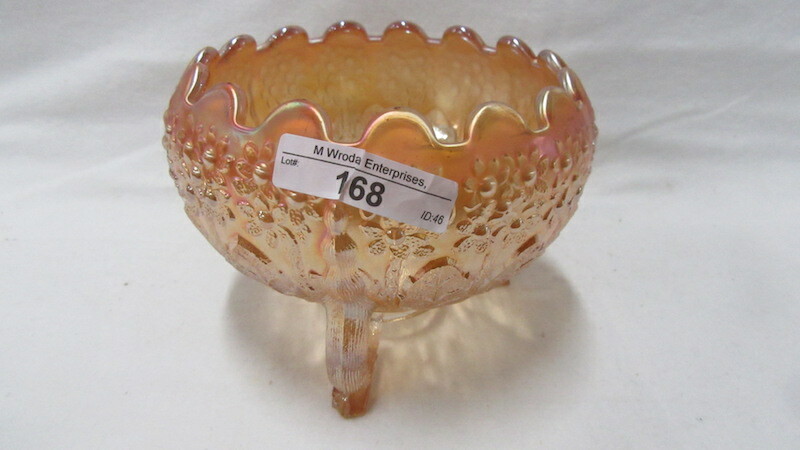 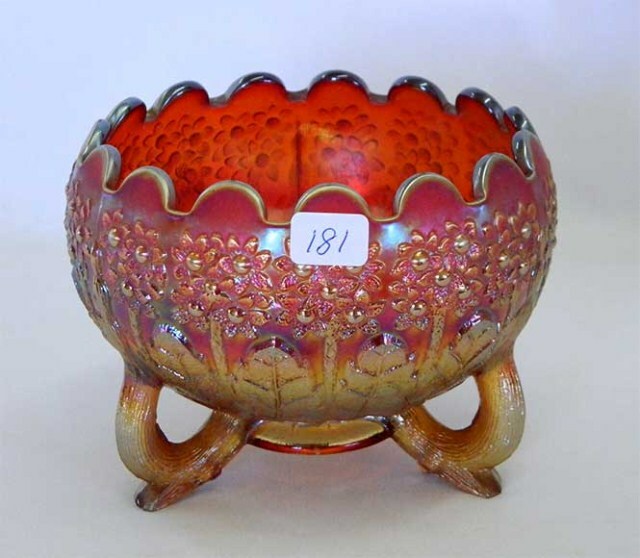 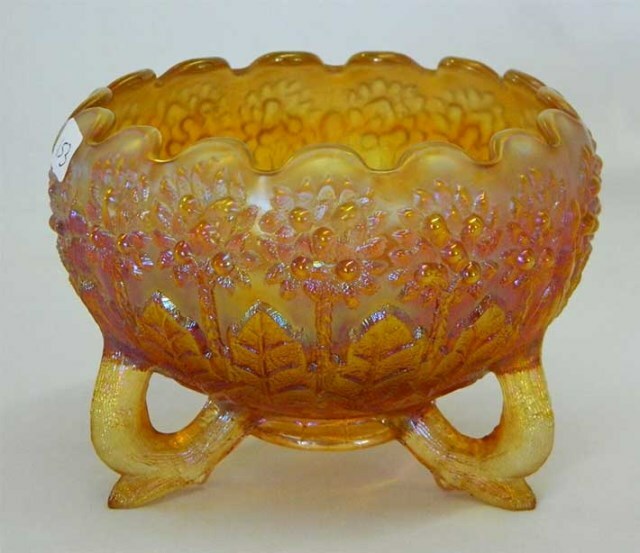 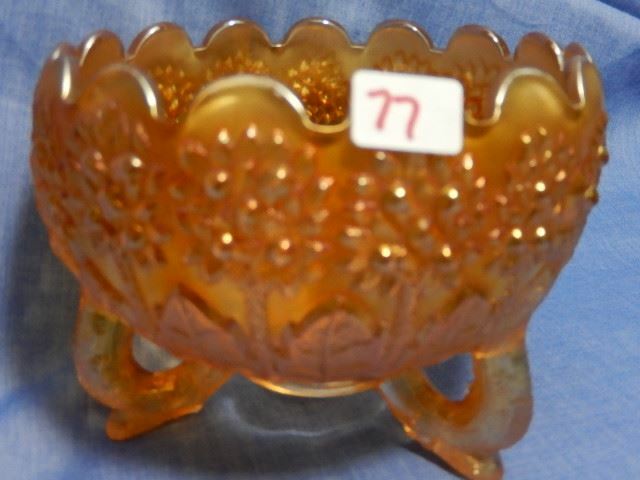 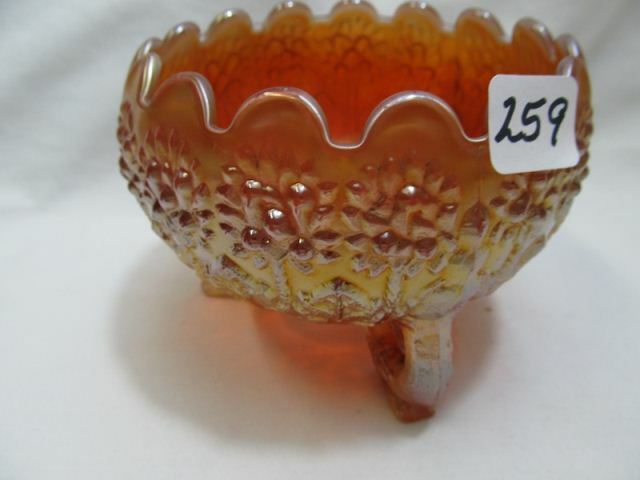 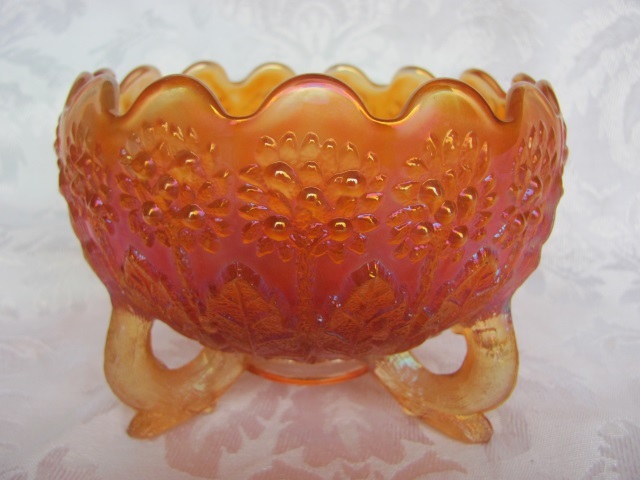 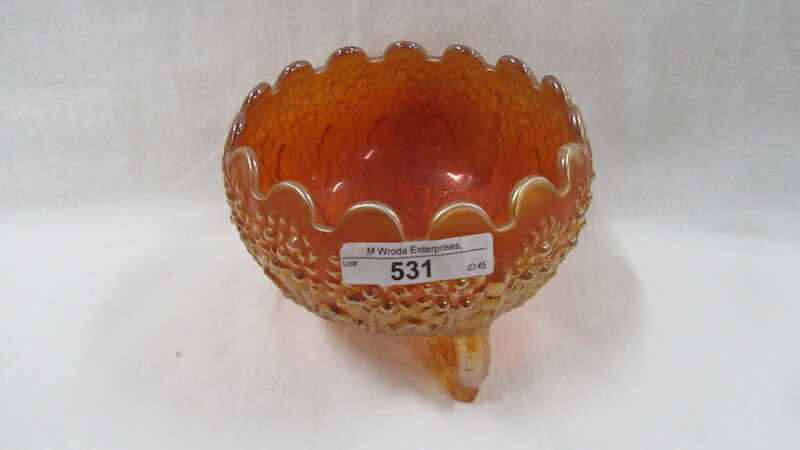 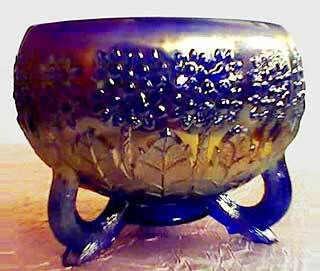 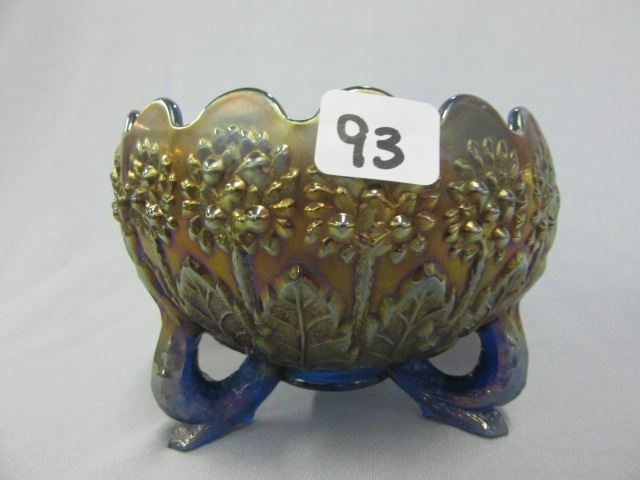 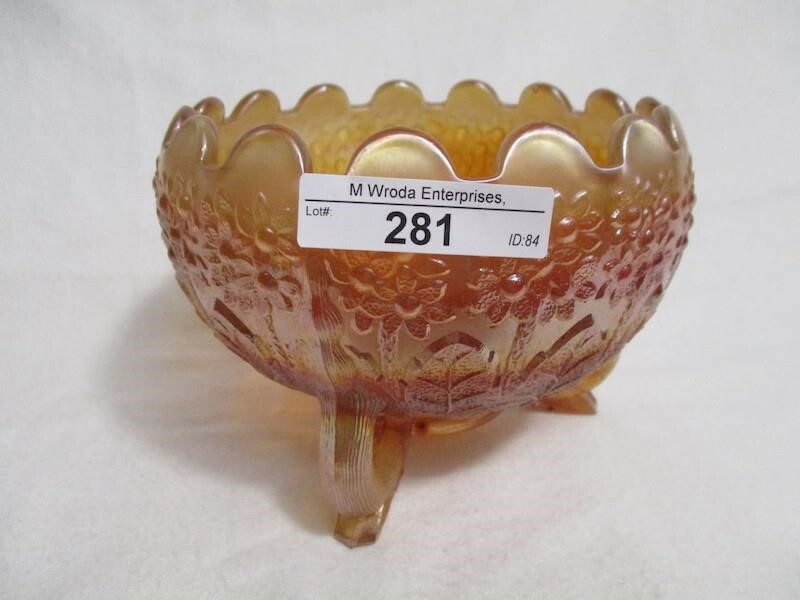 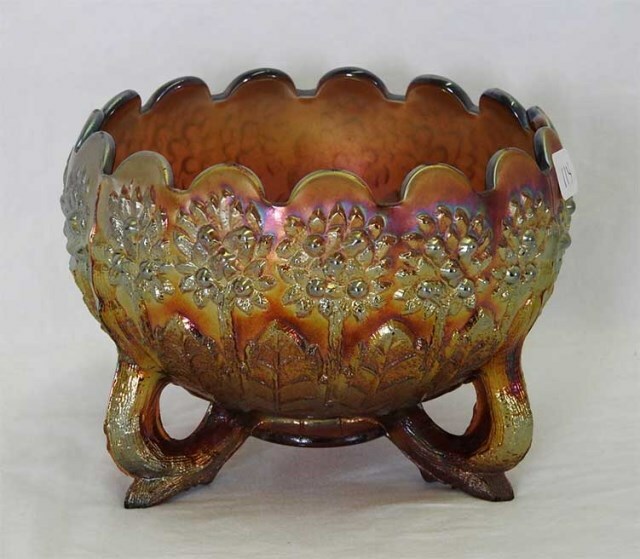 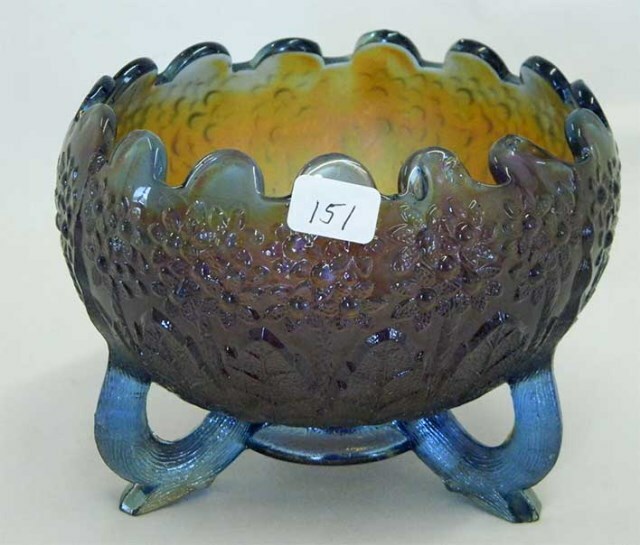 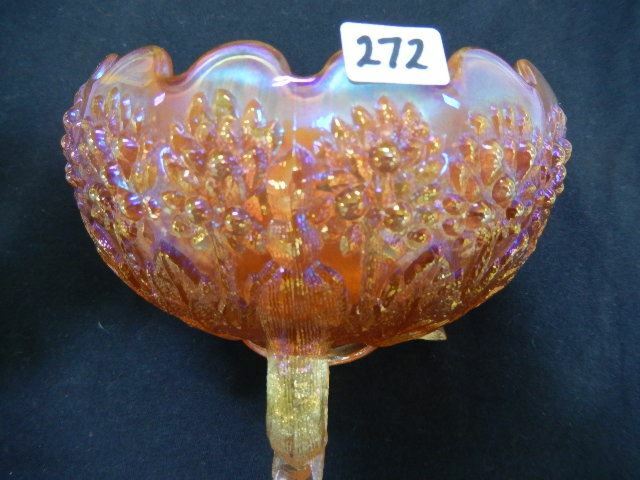 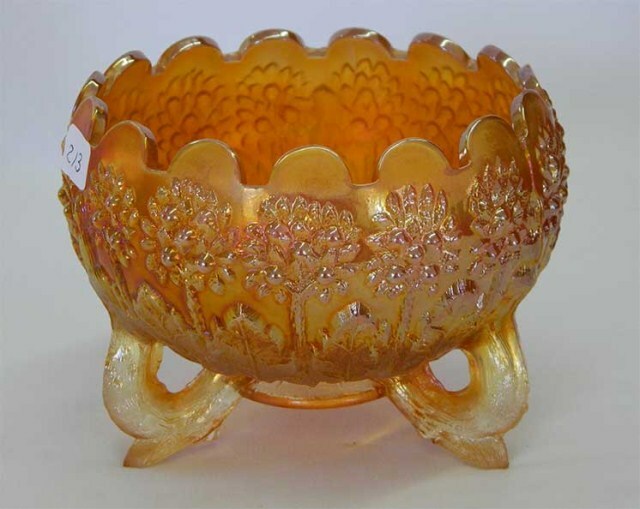 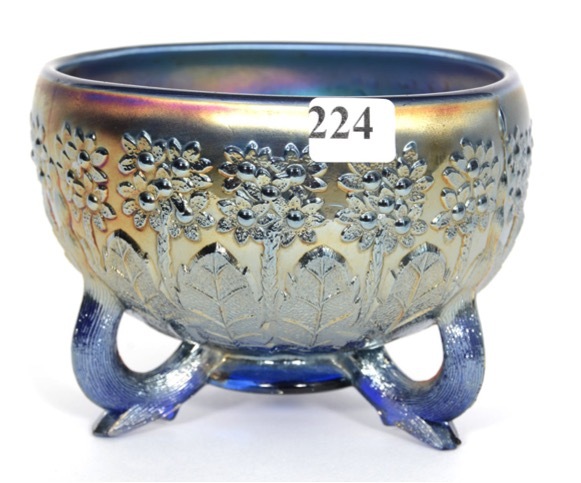 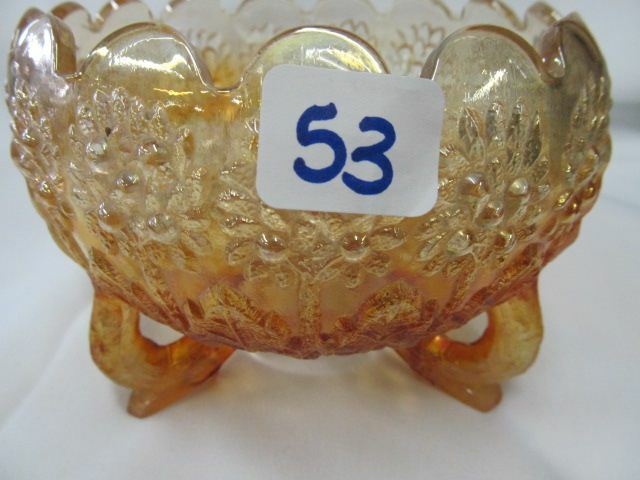 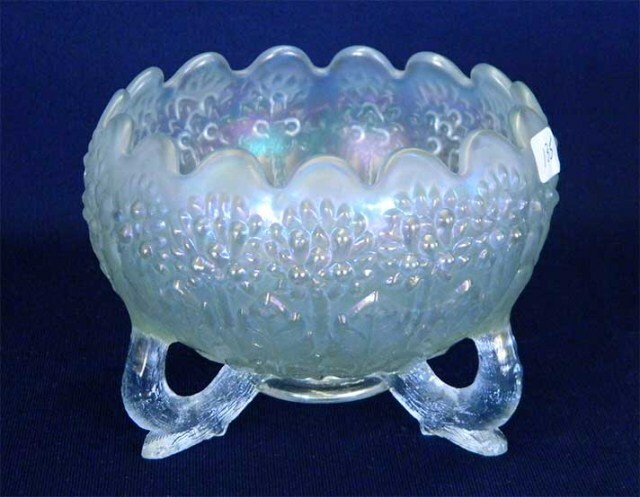 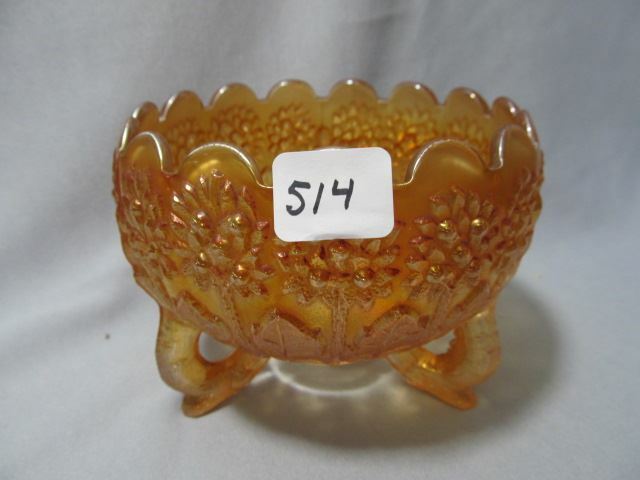 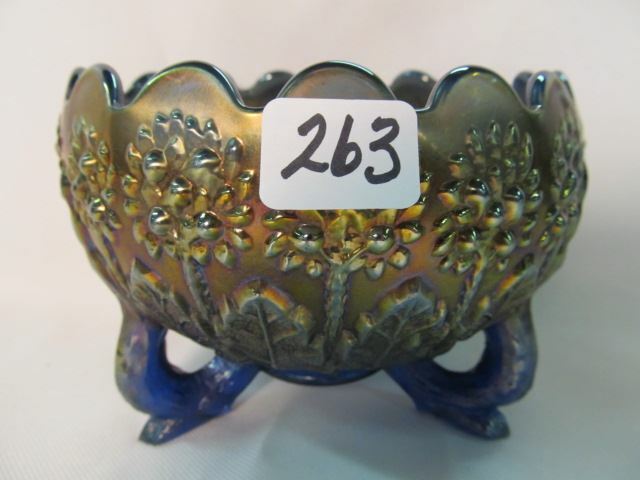 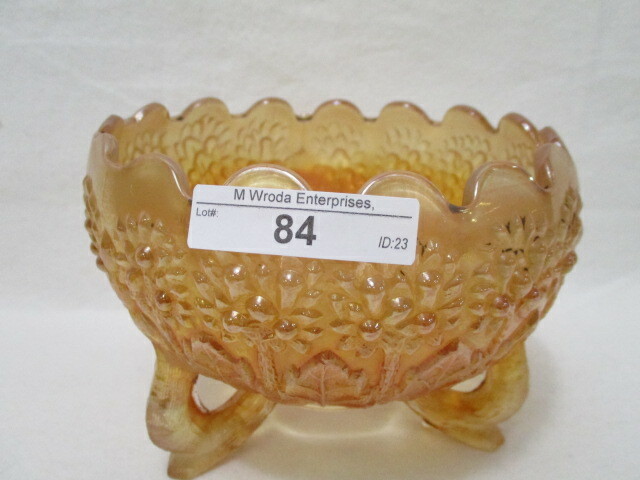 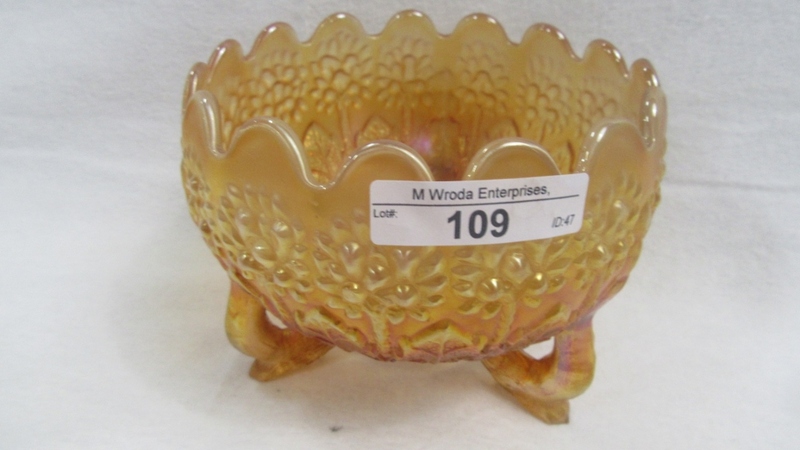 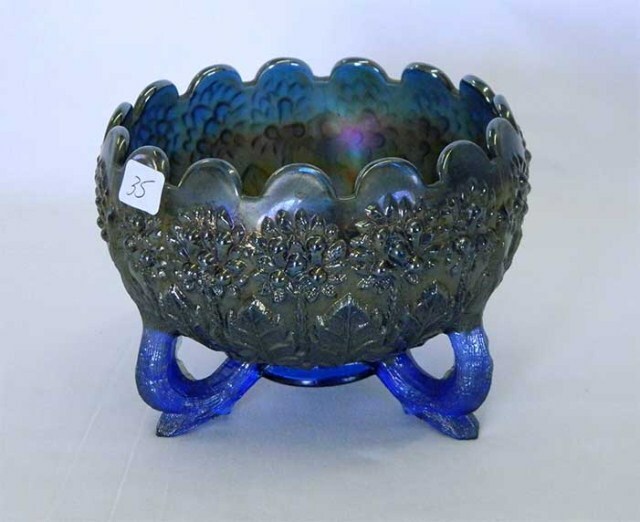 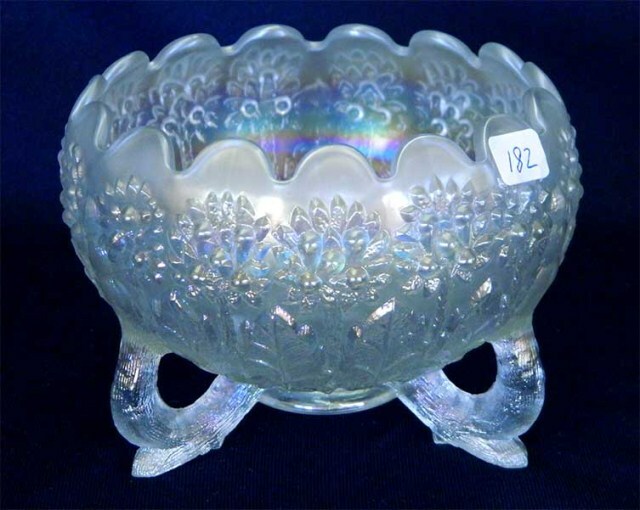 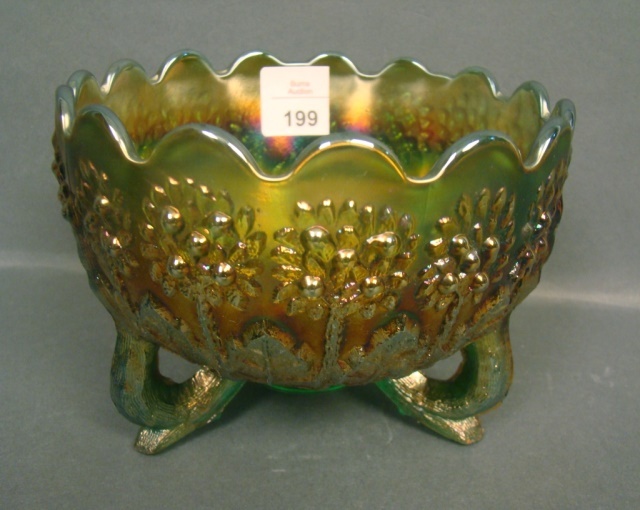 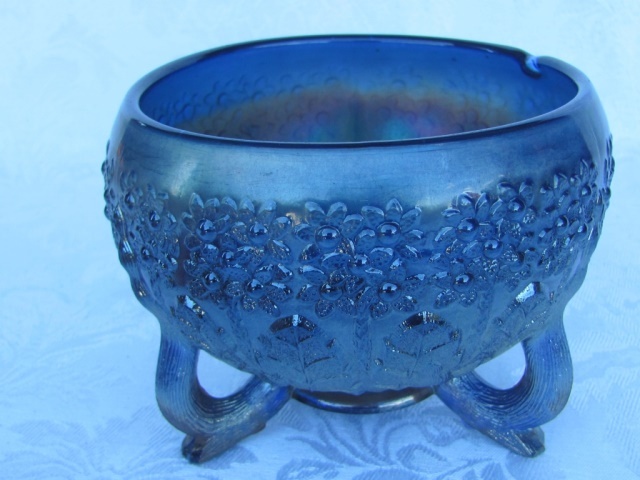 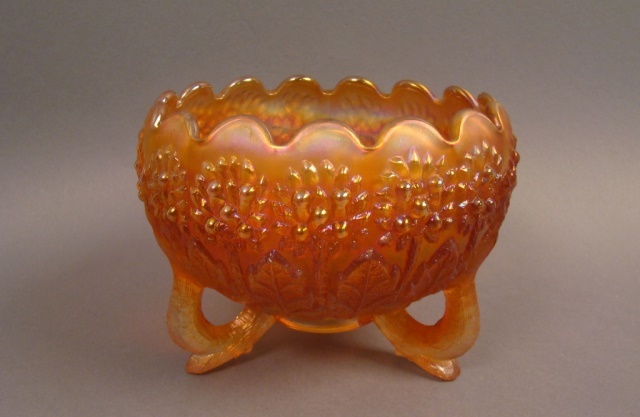 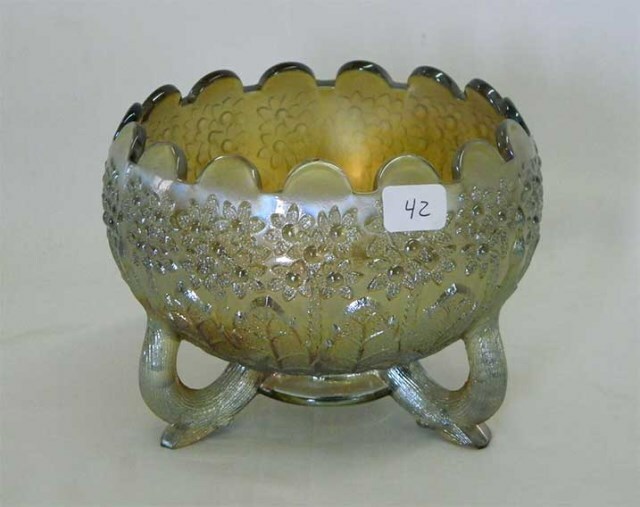 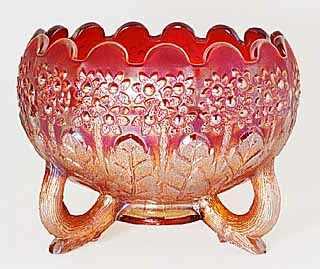 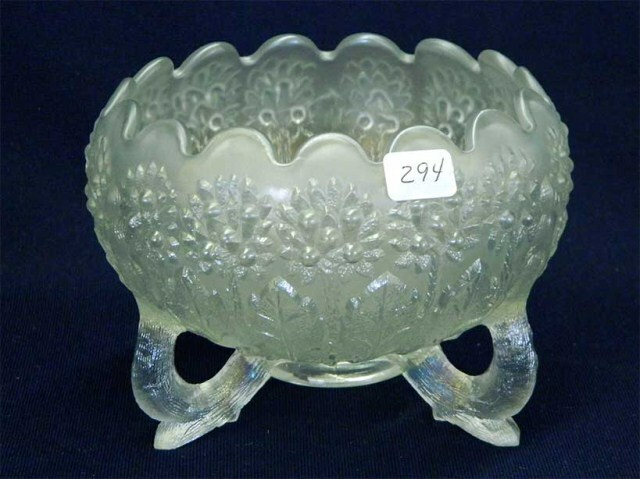 This rosebowl, in red with an amberina base, sold for $3,500 in 1997 (with a foot flake). 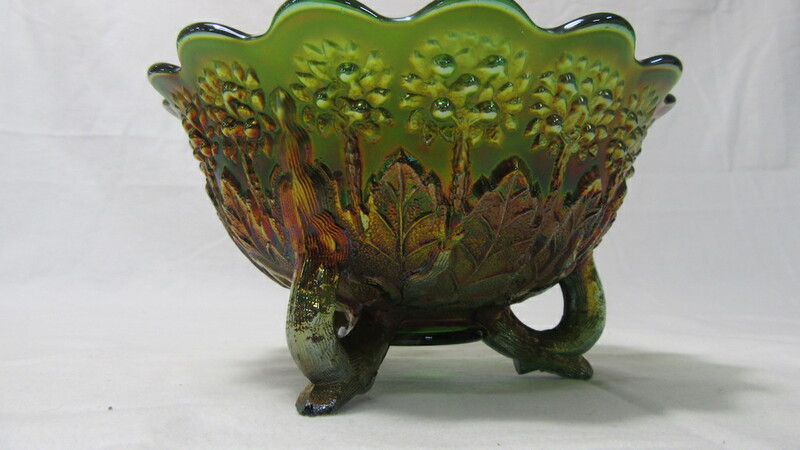 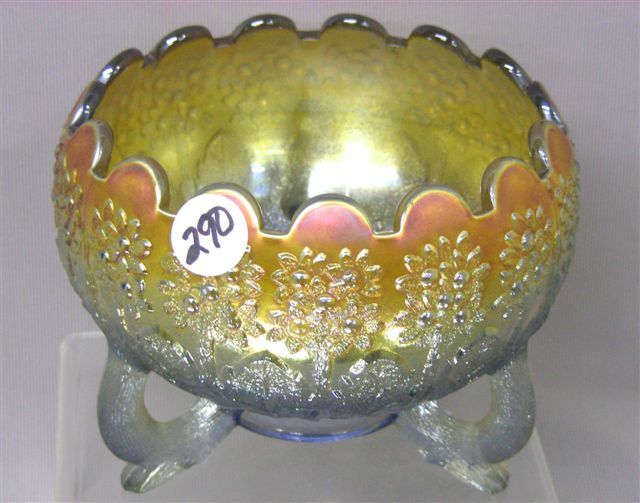 Fenton used the pattern on contemporary pieces, sometimes with Lions as the interior pattern.